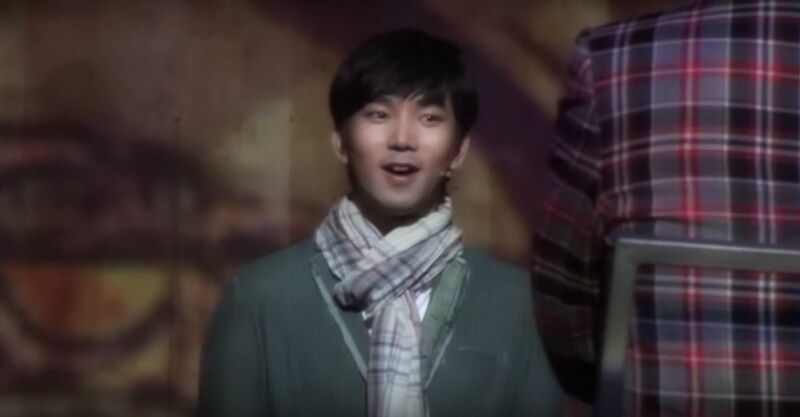 Nothing could have prepared me for the moment the curtain opened at the Universal Arts Center Theater in Seoul on the evening of April 8, 2014, and G.O, very powerfully in his best rock & roll swag, began to walk downstage towards the audience in the opening moments of Seopyeonje. It was a moment I won’t soon forget and one etched in my heart forever. 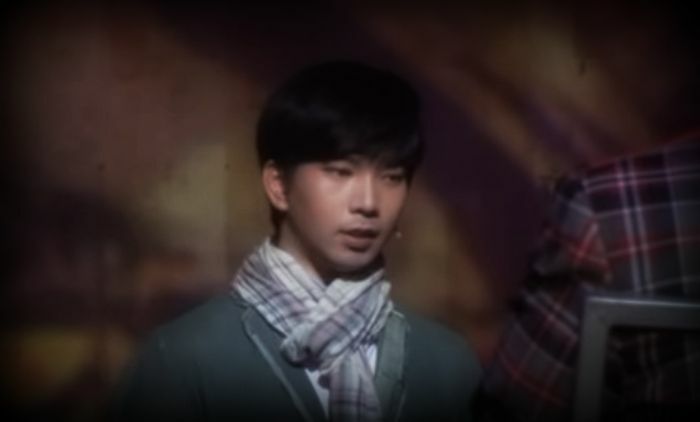 For this 81st day of G.O’s service, I want to focus on a later scene however, when he sang The Platters’ classic hit from 1958, Smoke Gets In Your Eyes ~ in English! There will never be words adequate to describe the emotions that rushed through me at that moment….or even throughout the whole of this amazing musical. You have to understand, this was my very first G.O performance experience. I had never seen him perform with MBLAQ. 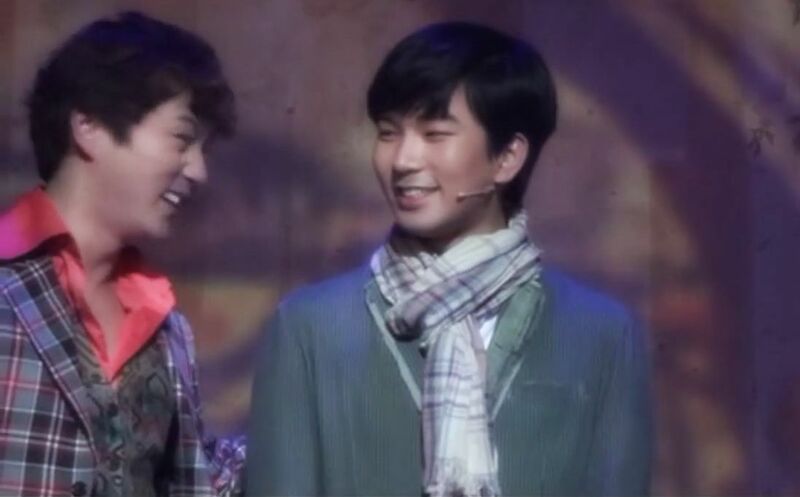 My first experience hearing G.O sing live was on that very musical theater stage, on that very amazing April evening. I was not prepared. Plus, I was experiencing everything in reverse where he was concerned. I was on the receiving end of his gracious fan service (which will always be more than just your typical fan service) first, and then saw him perform. I guess it is true that I was never one to follow convention! When the sweet and reticent Dong Ho decided to try his luck auditioning for a place in a rock band, we felt every bit of his apprehension and fear. Dong Ho, emerging from his sequestered life effecting his will, takes a bold step to discover his own voice and pursue independence. Ultimately, with a hope to free himself from an overbearing and abusive stepfather. I was floored. When G.O began to sing the first few lines of Smoke Gets In Your Eyes a cappella, I recognized the song immediately and my heart burst. When he moves so sweetly into the classic hit from Ike & Tina Turner, Proud Mary, I was beside myself. As the song progressed, the joy of something different and new, the possibility of independence began to burst from Dong Ho. 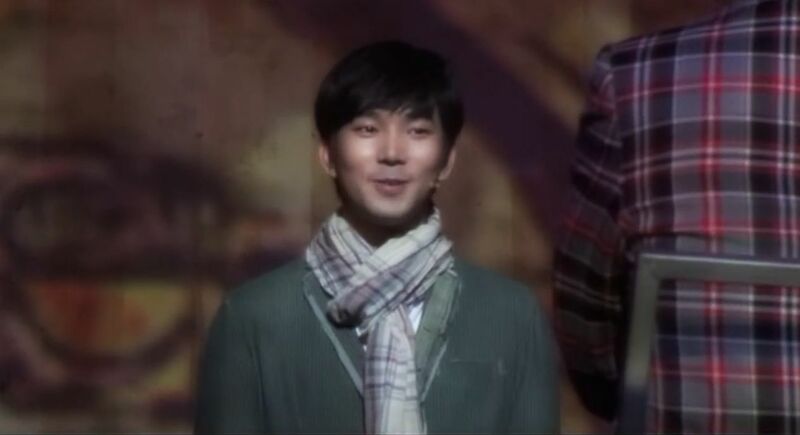 G.O’s interpretation of this shy reticent young man feeling acceptance and approval in this moment was golden. The years of being bullied by his stepfather left the gentle Dong Ho meek which made his audition that much more poignant. It was still a bold move and, in essence, an act of defiance on Dong Ho’s part. He started with what was probably an old and dated folk song which does not impress, but then opts to sing the Platters’ classic. I am guestimating that the era of the musical is somewhere in the early 1970’s at best. Yet, Dong Ho sang a song from the 1950’s. Either our tender pansori artist was as well-versed in music as the man who portrayed him or perhaps that was the most recent popular music Dong Ho had heard. Either way, it was beautiful and impressed the manager and group. G.O in the role of Dong Ho was amazing wrapped in perfection. He captured every nuance of an emotionally battered young man seeking independence by finding his own voice. It was magical on all accounts: a successful audition for Dong Ho who goes on to become a rock superstar, and a confirmation for me that I finally found the artist of my dreams. 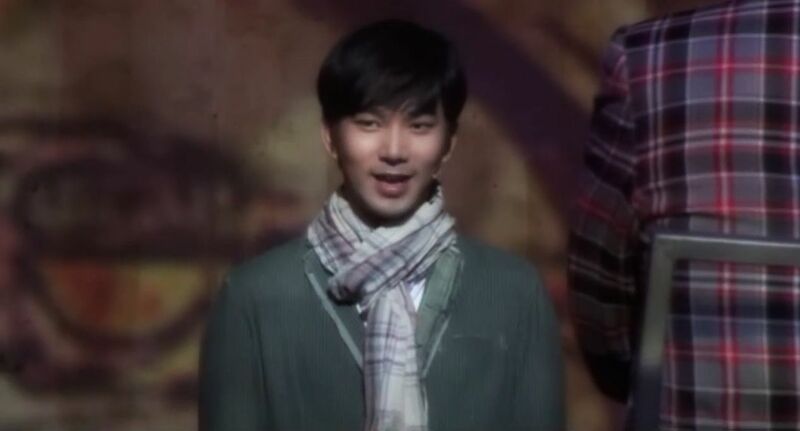 Categories: G.O Military Discharge, MBLAQ Musings, The G.O Files | Tags: G.O, G.O images, G.O's Military Service, Jung Byung Hee, Jung Byung Hee images, Korean Musical Theater, MBLAQ G.O, MBLAQ G.O images, Musical Actor G.O, Seopyeonje, Seopyeonje The Musical, The Musical Seopyeonje, The Platters | Permalink. This was my first time seeing this clip. Thanks for including it. I think it must have been one of the most amazing experiences of your life to have seen him masterfully perform that role as your “first” G.O. “live” experience. His charm is outstanding no matter the role…. isn’t it?